"We are thrilled to have some of the most exciting, young scientists in the world to help us explore the mysteries of the cosmos," said Paul Hertz, Astrophysics Division director at NASA Headquarters, Washington. "We look forward to all the great science they will do in the next three years during their fellowships." Participants in the Einstein fellows program conduct research broadly related to the mission of NASA's Physics of the Cosmos (PCOS) program, which aims to expand our knowledge of the origin, evolution and fate of the universe. The PCOS program consists of a suite of operating science missions and possible future missions that focus on specific aspects of these questions. "We are looking forward to welcoming this talented group of young scientists as the incoming Einstein Fellows, and to learning more about their work," said Belinda Wilkes, director of the Chandra X-ray Center at the Smithsonian Astrophysical Observatory in Cambridge, Massachusetts, which manages the Einstein Fellows program for NASA. "Their research is diverse, covering the full range of PCOS science, and promises to significantly expand and advance the astrophysics research being carried out by NASA and its world-class science missions." Participants in the Hubble Fellowship program conduct research broadly related to the mission of NASA's Cosmic Origins (COR) program, which aims to examine the origins of galaxies, stars, and planetary systems, and the evolution of these structures with cosmic time. The COR program consists of a suite of operating science missions and possible future missions that focus on specific aspects of these questions. "Congratulations to all of the new Hubble Fellows. It's an impressive class, and I have no doubt that they will continue the rich tradition of being leaders in the field of astronomy and astrophysics. As a former fellow and director of the Space Telescope Science Institute (STScI) in Baltimore, Maryland, where these fellowships originated back in the early 1990s, it is a pleasure to sign their award letters and welcome them as new fellows," said Ken Sembach. "They now have a rare, wonderful opportunity to experience scientific freedom and expand their scientific horizons on a path of their choosing. I wish them all the best and eagerly look forward to their accomplishments." Each year, the current Hubble Fellows convene for a three-day symposium to present results of their recent research and to meet with other Hubble Fellows and the scientific and administrative staff who manage the program for NASA. The 2017 symposium was held in Baltimore on March 13-15. The Sagan Fellowship supports scientists whose research is aligned with NASA's Exoplanet Exploration program. The primary goal of this program is to discover and characterize planetary systems and Earth-like planets around other stars. The current and past Sagan Fellows will meet in Pasadena at the Sagan Fellows Symposium later this year to take advantage of networking opportunities and update their peers on their research efforts. "The field of exoplanets continues to explode with new discoveries and advancements each day. The Sagan fellows will contribute to these advancements by pushing the boundaries with their research." said Sagan Program Scientist Dawn Gelino, deputy director for the NASA Exoplanet Science Institute at Caltech in Pasadena, California. The Chandra X-ray Center administers the Einstein Fellowships for NASA. NASA's Marshall Space Flight Center in Huntsville, Alabama, manages the Chandra program for NASA's Science Mission Directorate in Washington. The Smithsonian Astrophysical Observatory controls Chandra's science and flight operations. STScI administers the Hubble Fellowships for NASA. STScI is the science operations center for the Hubble Space Telescope and the science and mission operations center for the James Webb Space Telescope, scheduled for launch in 2018. STScI is operated for NASA by the Association of Universities for Research in Astronomy, in Washington. 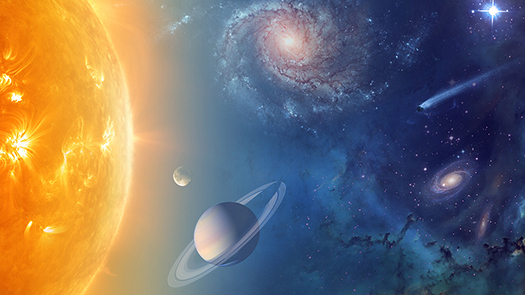 The NASA Exoplanet Science Institute, which is operated at Caltech in coordination with the Jet Propulsion Laboratory, administers the Sagan Fellowship Program for NASA. Jet Propulsion Laboratory, Pasadena, California.